by investing in the life of a special needs child. There is no letter writing available for our special needs children. 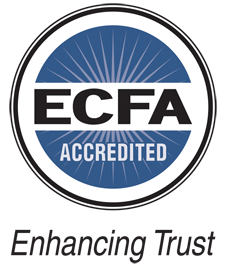 Instead, you will receive a quarterly ministry newsletter and drawings from your child. 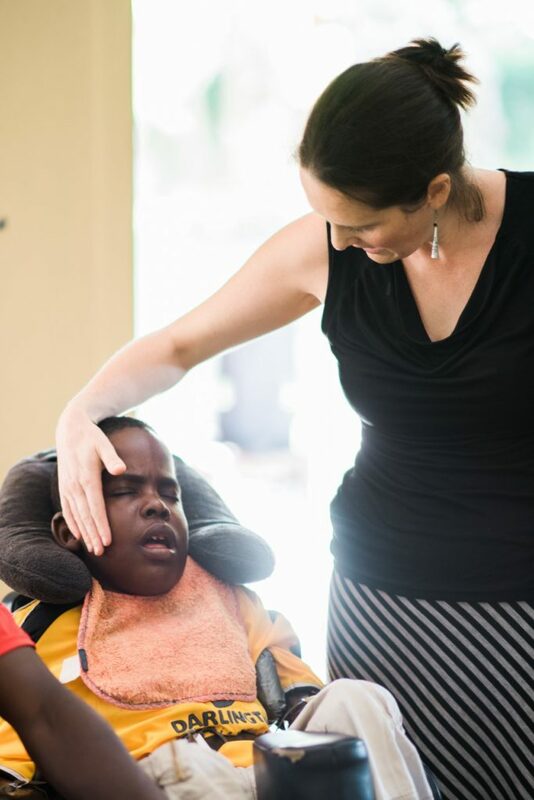 You can also support the special needs ministry itself with any amount. 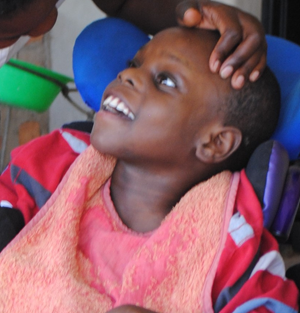 Special needs children have many sponsors because of increased medical costs. Autistic – Vianna has not yet learned to talk; he loves routine and is very particular. Vianna’s family are cattle herders and drink lots of milk. 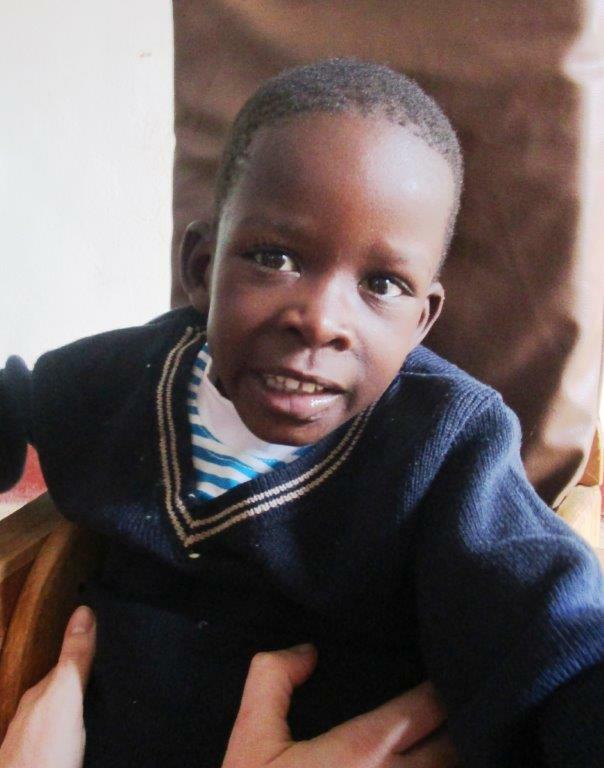 He has 7 siblings, and his sister Allen is also in the special needs class. 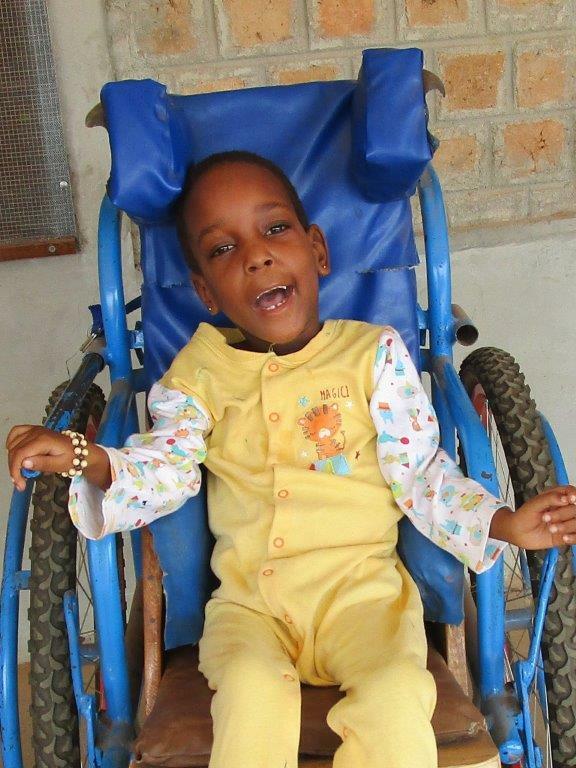 Vianna is now 5 years old and lives at Hassan’s house, our onsite housing for special needs children. He enjoys colorful toys, being outside, and pushing his friends’ wheelchairs. 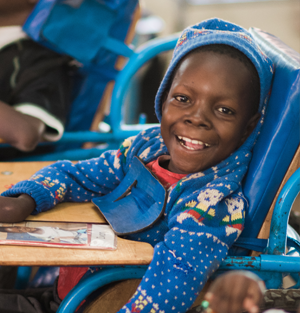 Wilberforce is 11 years old and lives in the community with his grandparents and sister Florence, but receives care through our special needs program during the day. 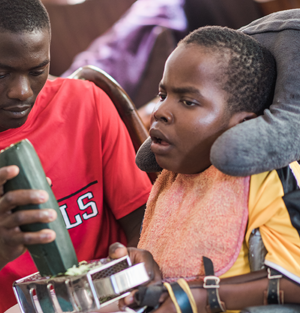 Because of his brain damage, Wilberforce is unable to do anything for himself, but communicates through making sounds and smiling. He loves people, stories, and singing. Ivan is 14 years old and lives in the community with his 5 siblings and they also have a guard dog that he loves to play with! 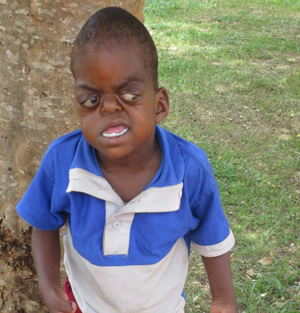 Ivan’s brain damage is from an illness during his first year of life. He is not unable to do anything else for himself or talk, although he is intelligent and can communicate through eye pointing and facial expression. 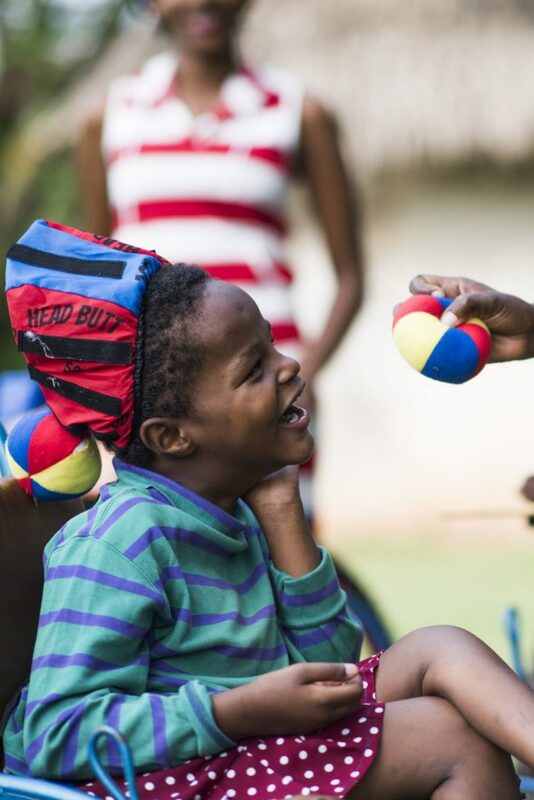 Ivan receives care through our special needs program during the day and since coming into our care we have noticed that he enjoys to play games with the more able children with support. Fatiya came to us as a very tiny and sick baby, but has amazed us with her survival and has now learned to walk, talk, and is making good progress in class. Fatiya is now 5 years old and lives in the community with her 9 siblings, including a new baby whom Fatiya is very proud of! 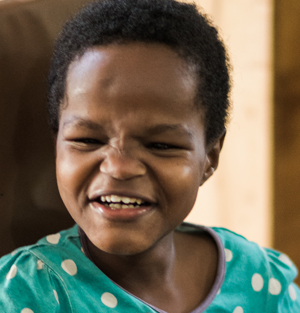 She comes to our special needs class during the day and since joining our program, we have noticed that Fatiya enjoys singing and playing games with her friends and siblings. 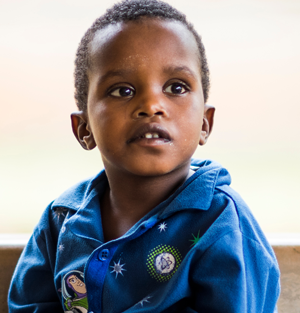 Hassan was the first child in our special needs program and his disabilities are the result of trauma to the head. He can’t do anything for himself, has poor vision, and has to be fed through a tube in his tummy. He can communicate by facial expression, laughing, and crying. 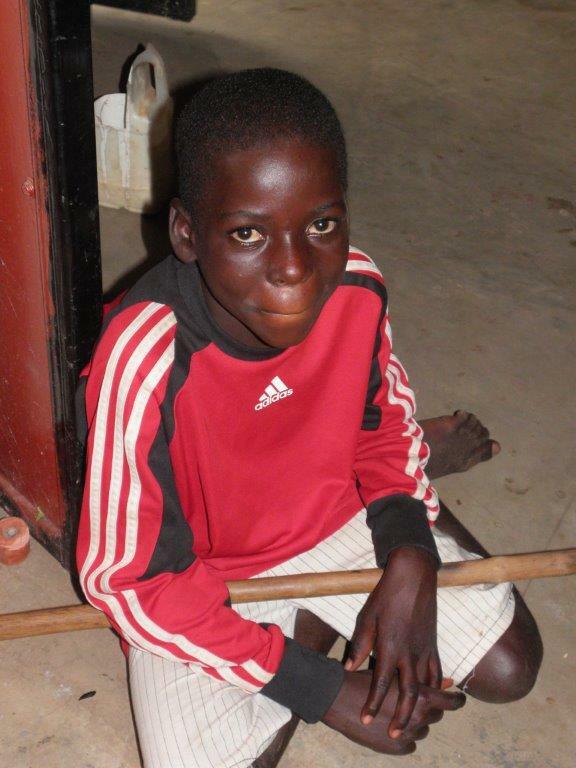 Hassan is now 14 years old and lives at Hassan’s house, our onsite housing for special needs children. 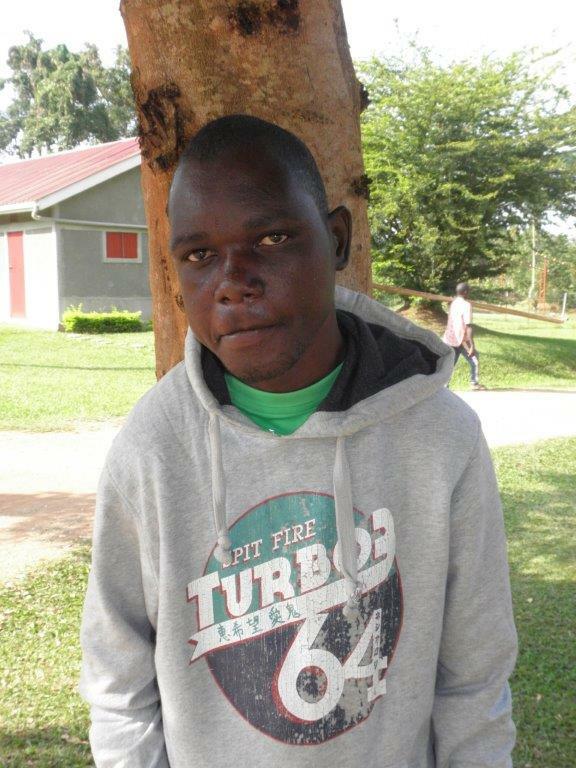 Since joining our program, we have noticed that he enjoys hearing familiar voices and music, particularly the singing in church.He is in need of 3 sponsors at $35/month. Stella came to us at 11 months old severely malnourished. The cause of her brain damage is unknown. She has to take some food from her feeding tube, but is sometimes able to enjoy her favorite foods occasionally (rice porridge, pumpkin, and dessert). 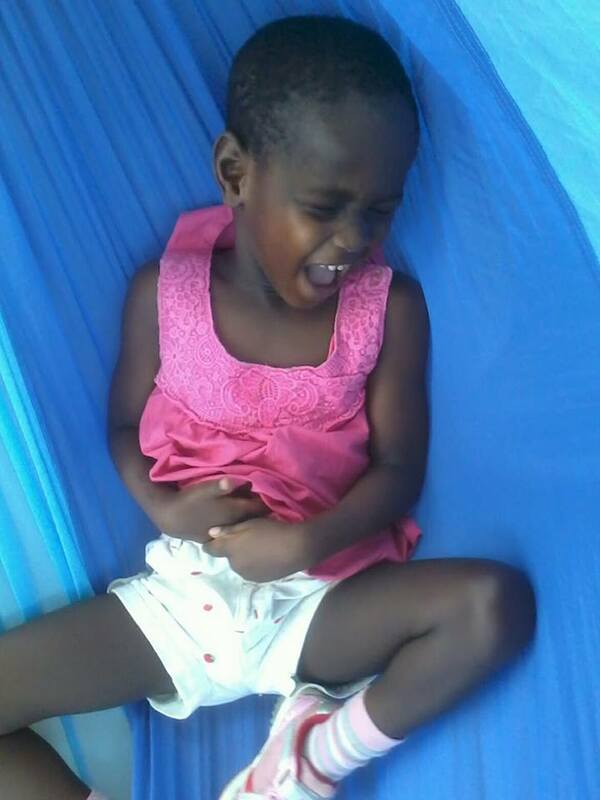 Stella is now 4 years old and lives at Hassan’s house, our onsite housing for special needs children. Her parents are living and her mother visits occasionally, but her father has never come to visit. Since joining our program, we have noticed Stella enjoys being tickled, kissed on her eyes by her caregivers, swinging in her hammock, and looking at her disco light. Allen was brought to us in 2010 with TB and weighing 11 pounds at 8 years old. Because of the care we provide, She is now learning to walk and feed herself. We have also learned that Allen loves eating, drinking, and playing with all sorts of strange things like shoes. He favorite subjects in school are baking and art. 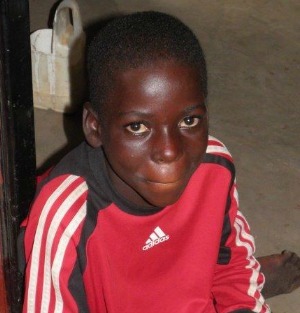 Allen is now 14 years old and lives at Hassan’s house, our onsite housing for special needs children. 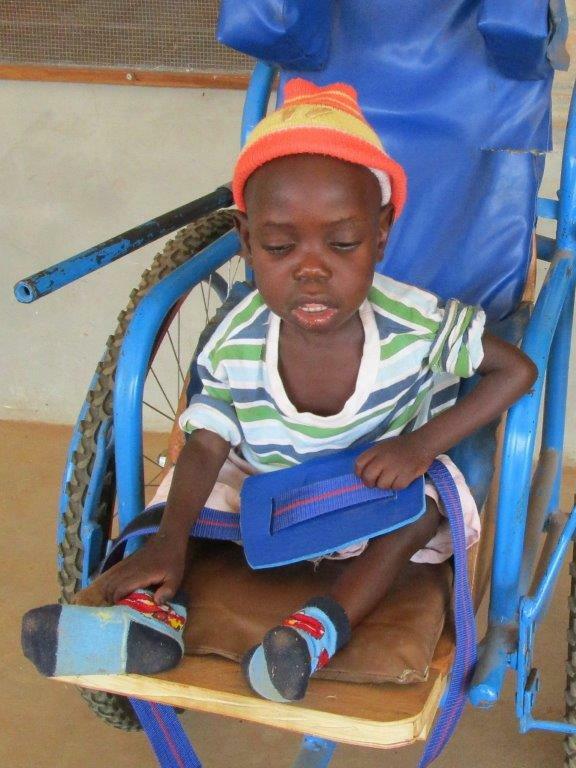 Special needs children have up to 6 sponsors because of increased medical costs. Hamidah was the only child born to her parents who were unmarried and in a casual relationship. Her father has many more children, but they are not all known by Hamidah’s caregiver. Hamidah’s father died in 2012 and the cause is not known. Since then, Hamidah first lived with a paternal uncle in another part of Uganda amd then came to live with an aunt who lives near Kasana Children’s Center. Her family are peasant farmers, working their own small plot and in other peoples gardens to earn money. Hamidah came to the attention of our staff at our monthly community outreach and she was given a place in our special needs class. Since joining our program, Hamidah has learned to feed herself and some simple chores. She is also a good listener and enjoys sweeping at home. Hamidah seems to have a relationship with God, often participating in our prayer time. Lydia was born with Cerebral Palsy and was the first child born to her parents who were unmarried. Her father was in five other relationships. Her parents stayed together until Lydia was one year old, then her father left. Now, Lydia lives with her mother, cousin, and three siblings in a nearby village. 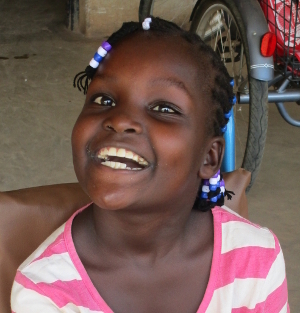 Because of Lydia’s disabilities, she cannot walk and has poor vision. She joined our special needs program in 2017. Despite still needing help with some things, Lydia has now learned to talk, eat, and brush her team. We have learned that Lydia is outgoing, lively, vibrant, but she can be a bit touchy and emotional about certain things. She enjoys singing and playing with friends. 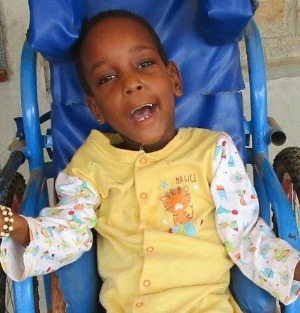 Ruth is the youngest child born to her parents and was born with Cerebral Palsy. In this culture, disabled children are looked on as worthless and so many are neglected—although Ruth’s mother takes good care of her. 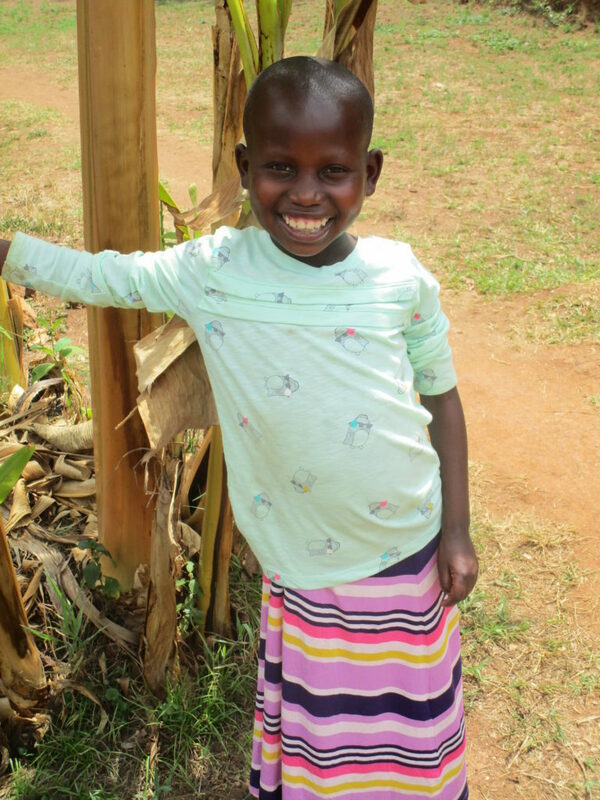 Ruth lives with her mother and siblings in a nearby village. 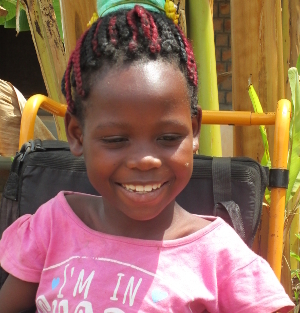 Since joining our program in 2011, Ruth’s father has begun to accept her and she has learned to feed herself. 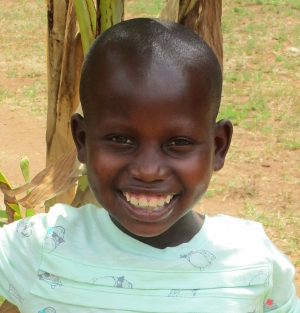 We have learned that Ruth is talkative, friendly, enjoys chores, and playing. We are praying that she will learn to walk and for reconciliation between her parents. Wilson was the only child born to his parents; he was the fifth of nine children born to his mother, only four of whom are surviving today. Wilson lived with his mother and father until his father’s death in 2003, when he was a year old, and the cause unknown. 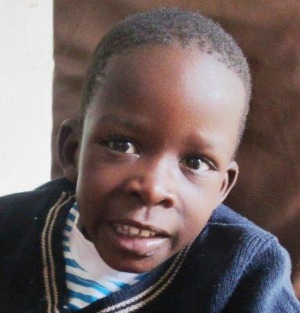 He then lived with his mother until he was brought to Kasana Children’s Centre in December 2011. His mother is mentally ill and suffers abuse. She is not capable of caring for her children and they were severely neglected. 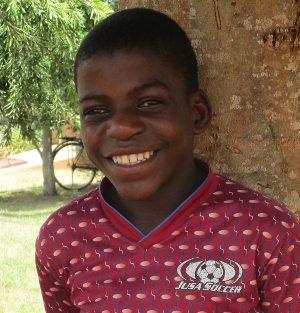 Since joining our program in 2014, we have learned that Wilson is social, enjoys playing soccer, and playing games with other children. Wilson’s two older brothers have been in the care of New Hope for some years as part of Jonathan family, and so he was brought to live with them. Wilson’s youngest brother & sister (ages 5 and almost 4) were initially in Hope Family (our baby home), but are now living with a missionary family who are now their legal guardians. Fred was the first of three children born to his parents, who were married although both parents have had other relationships. 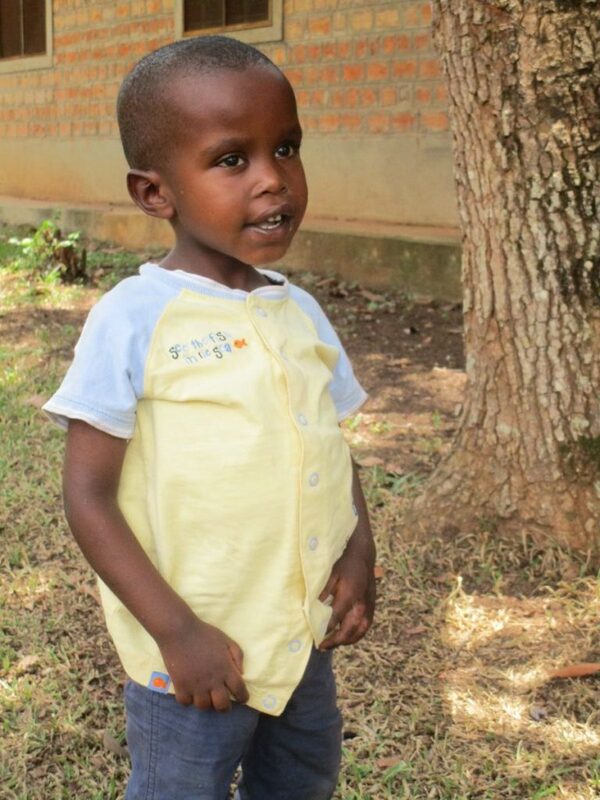 When Fred was two, his parents separated—both are still alive today. His father abandoned the family and Fred now lives with his mother in his maternal grandmother’s home. There are also eight uncles and two aunts sharing the home, as well as Fred’s younger half sisters. Fred’s mother works as a market vendor, but is not able to provide enough income for her and her children to live on their own, or for Fred’s sister to go to school. 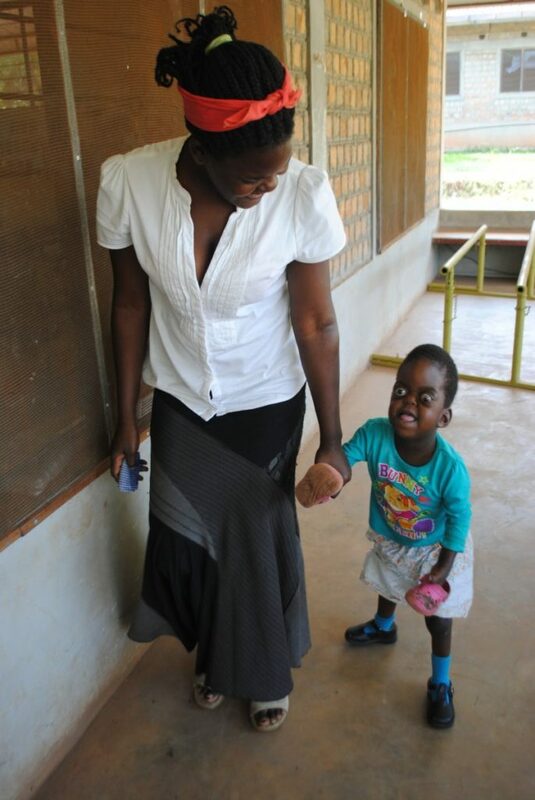 She brought Fred to our Special Needs Programme community outreach sessions. They requested that Fred get special needs education, because his learning disability made it hard for him to catch up with other students in the local public schools. Since joining our program in 2011, we have learned that Fred is very friendly. He enjoys worship time, playing the drums, soccer, and gardening. 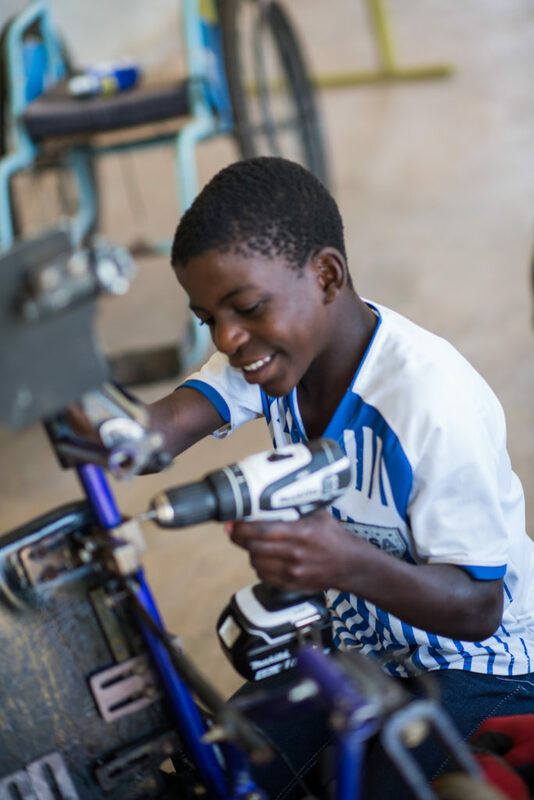 Fred can take care of himself despite his disability and enjoys helping to mend wheel chairs for the other students. Hasfa is one of five children born to her parents who are married. The father is a cobbler but earns little. Hasfa was born normally in the local hospital, but had a convulsion at one year old which left her with cerebral palsy. 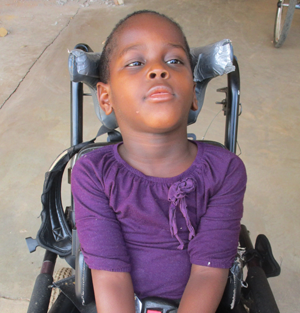 Hasfa is unable to do anything for herself or communicate, but she can raise her legs when lying down. 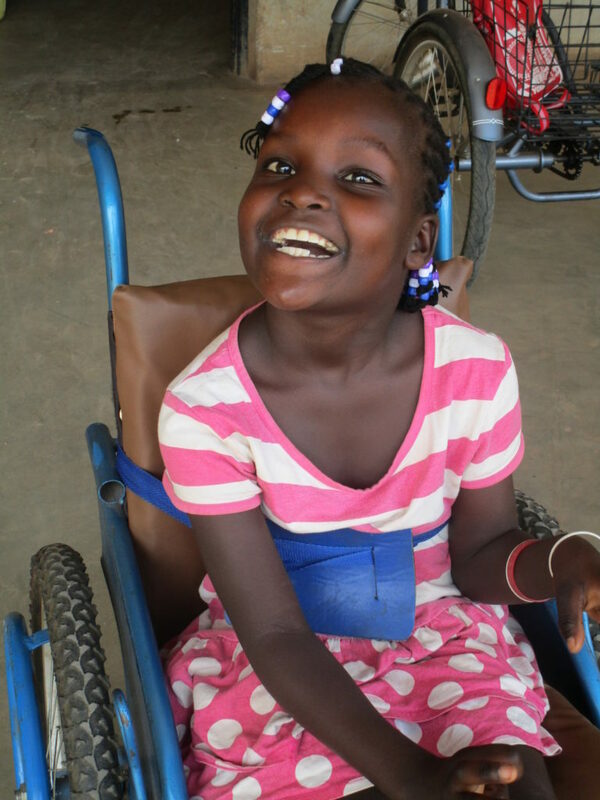 She recently received a wheelchair and enjoys being able to move around. 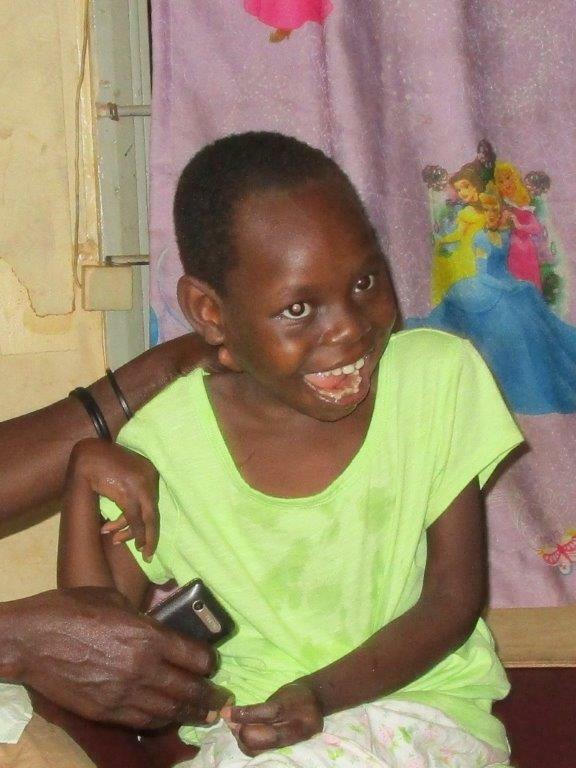 Since coming to Kasana, we have learned that Hasfa enjoys being around people and playing with toys. We are praying for Hasfa’s health, her family’s salvation, and provision for them. Isma is the eldest child in his family. His parents were in a casual relationship and his father had three other relationships. After Isma was born his father abandoned the family. 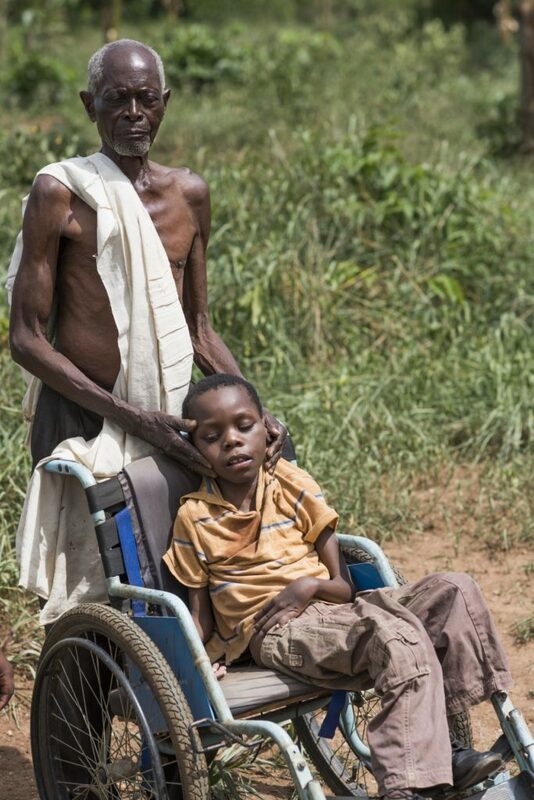 Isma has been cared for by his maternal uncle since he was three months old and his mother passed away in 2004. 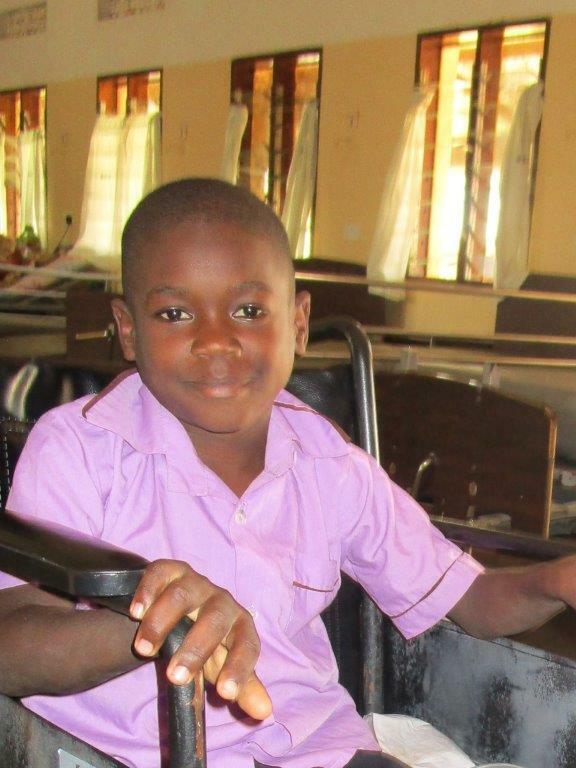 Since joining our special needs class, we have learned that Isma is quiet, but he enjoys taking care of goats. Jordan was the only child born to his parents who were in a casual relationship. Jordan lived with his mother until he was two years old when he was handed over to his grandmother to take care of him. Besides the grandparents and the father, there are around twenty five people living in the family. 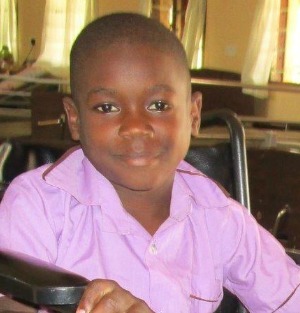 Jordan was a healthy boy until June 2017 when he fell out of a mango tree breaking his back damaging his spinal cord. He now he has no feeling in his lower body. 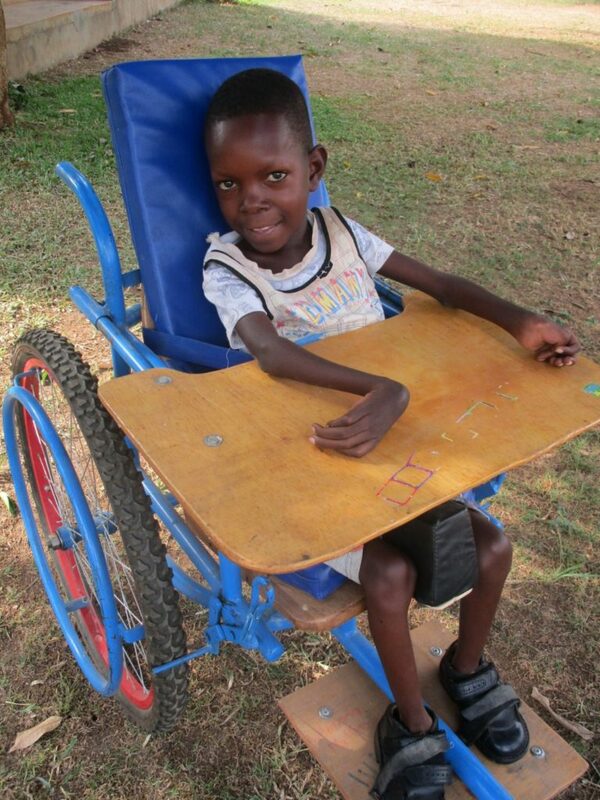 Jordan has been out of school for a year, but now has a wheelchair so he can move around. Jordan’s father was told about our special needs class so came for help. Jordan was given a place in our school which he will attend in the mornings and be in the special needs class in the afternoon. While in school he will have help with his personal hygiene and will also have physio to help him gain upper body strength. 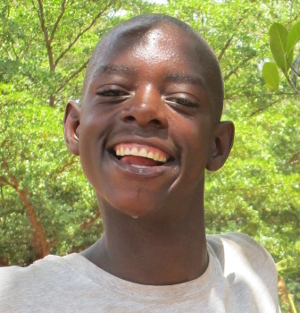 Since coming to Kasana, we have learned that Jordan is very friendly and loves spending time with his friends. Paul was the first child born to his parents who were in a traditional marriage. He lived with both parents until they separated when Paul was 6 years old. Since then Paul has been cared for by his grandmother. Not much is known about Paul before he lived with his grandmother and we are not sure why he has bent legs. Paul’s grandma is a Christian and he enjoys going to church with her. Since joining our program, we have learned that Paul follows instructions well and is very social. Shannita was the first child born to her parents who were in a traditional marriage. 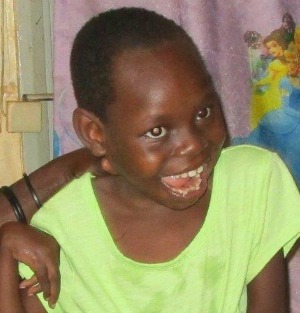 Her mother had prolonged labor and Shannita was born with cerebral palsy. She is unable to hold up her head, is unable to crawl or walk, and struggles with her speech, but can hold things with her hands. 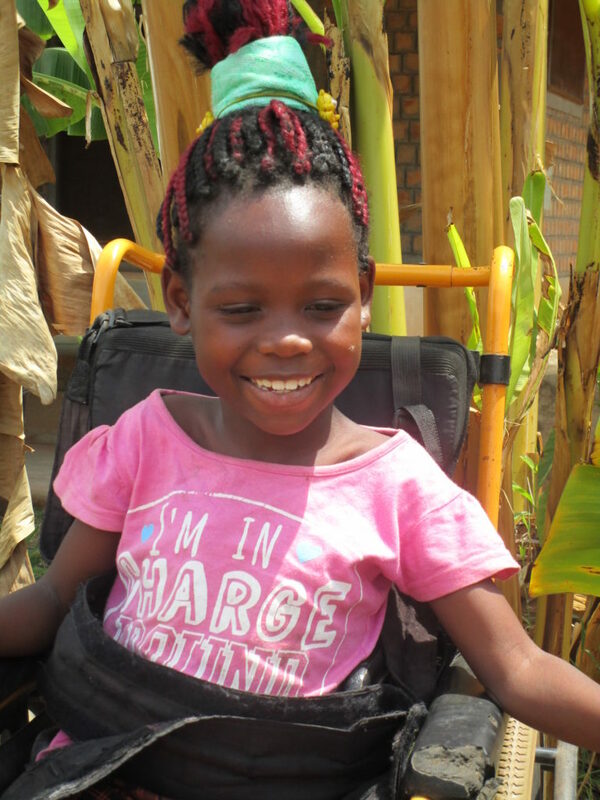 She recently received a wheelchair which helps her to sit and be moved around. Since joining our program, we have learned that she is a very happy child and smiles a lot when she is greeted or talked to. Shannita responds to her name and enjoys being in class. Shelly was the second child born to her parents who were in a traditional marriage, but her father is no longer with the family. Her mother is a nursery school teacher who earns very little and trying to raise the children among other members of the family. Shelly was born at home with cerebral palsy. She cannot walk or speak, but can crawl, hear, and hold small objects. While Shelly’s mother is at work her grandmother cares for her. Shelly comes to our special needs class once per week for therapy. We are praying for her family’s salvation. 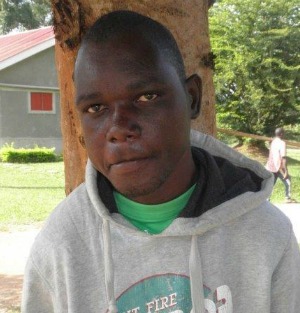 Sserwada was the first child born to his parents who were not married, but living together. Sserwada was given to his grandmother to care for him when he was one week old. His parents separated when Sserwada was about three. His mother, who is intellectually challenged, is now remarried and has more children. 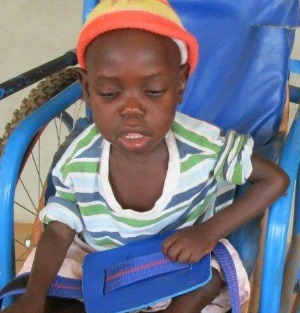 Sserwada isn’t able to speak but he is able to walk and enjoys listening to music. Sserwada needs continual nutrition and physiotherapy support.